The best way to ensure that your alpaca grows to be happy and healthy is to provide it with the proper nourishment. In their natural environment, alpacas feed primarily on grass, but many domestic owners and breeders will supplement this diet with hay, as well as vitamin and mineral-enriched grain pellets. Hay will provide a higher concentration of protein to your alpaca’s diet than grass does, but alfalfa is not often recommended, as it can be too protein-rich. Providing enough food for alpacas is relatively easy because, unlike some other types of grazing animals, they do not uproot the grasses they consume; their short tongues only allow them to nibble grasses to a quarter of an inch above the root, thus leaving pastures to swiftly resume their growth. On top of that, because of the harsh conditions that seasonally plague the high plains in Chile, Peru, and Bolivia, alpacas have evolved to become incredibly efficient eaters. In fact, an alpaca may comfortably subsist on a single bale of hay per month, which is much less than other species of comparable size. It is important to mention that the nutritional content of grazing pastures can very considerably, especially between those in radically different climate zones. Selenium, for example, is a nutrient that is both essential to your alpaca’s diet, and nonexistent in U.S. soil. For any vitamin and mineral deficiencies, it is advisable that you test your soil for its specific composition, as this will reveal the type of supplements you may want to add to your alpaca’s diet. And, when speaking of nourishment, the value of a clean, consistently available, water supply cannot be understated. Of course, any changes to an alpaca’s diet are best made gradually. Over the course of two to three weeks, their digestive systems will have adequate time to adjust to a new feeding routine. A wholesome diet, like one that includes the food and water sources mentioned above, is important for your alpaca’s overall health because it promotes proper muscular development and bone growth, and aids in the body’s fight against disease. If you find yourself wondering whether you can or cannot feed something to your alpaca, remember to first check with your local veterinarian or e-mail us at info@countrysidealpaca.com. Happy feeding! 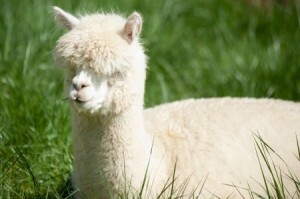 Alpacas make great pets as well as investments. You might have never thought that you could build a great friendship and a nice income with just one venture, but with alpacas, you can. Making money with alpacas is as easy as loving them, all you need is a few alpacas and some land! First, you’ll want to get used to shearing the alpaca, to sell the fiber. Alpaca fiber is finer and softer than wool, so there’s a great demand for alpaca fiber clothing, blankets, and more. Versatile and strong, many companies use alpaca fiber for creating novelty items, so it’s possible you can simply sell the fiber as well. You can also breed your alpacas to sell as pets or livestock. Your initial investment should provide you with enough to obtain a mate for your alpaca. Once you start breeding them, you’re in good. They can range anywhere from $500-$3,000 depending on the offspring’s appearance and quality. A pregnant alpaca can sell for about $20,000! Alternatively, if you’re not into breeding you can opt to create a traveling petting zoo. This is a great idea if you have a small menagerie of small animals as well. You can host birthday parties or seek opportunities from summer camps and schools. In addition to acting as investments, your Alpacas will bring much joy to your life. Naturally docile creatures, alpacas have never needed to be domesticated. These fluffy animals are happy to be with you and they’ll love you unconditionally. The best part is that their fiber gets to be so heavy that they actually enjoy it when you shear their fiber, so you’re actually doing the alpaca a favor! For those who are not familiar with Alpaca fleece, the best possible description would be, that it is similar to sheep’s wool. But…would this description be totally accurate? If you are familiar with the texture, look, and feel of alpaca fleece, your answer may be a resounding “no”. There are many differences between alpaca fleece and sheep’s wool; and research has proven that many of these differences are significant. In the alpaca world, it is said that alpaca fleece is hypo-allergenic, water resistant, and as luxurious as a cashmere sweater. Alpaca fleece enthusiasts also say that it is much warmer than sheep’s wool. Surely, we are alpaca breeders and lovers, so we could be biased; but let us compare the two fibers and sort out the facts. It is true in some cases that alpaca fleece does feel as soft as cashmere; and at other times alpacas can feel a bit wiry and rough. It all depends on the type of breeding the alpaca is subjected to. Many alpaca farms incorporate a high-quality breeding program that helps alpacas to produce what is called, super-fine 16-18 micron fleece. This type of fleece is super soft. Some sheepherders have tried to implement breeding techniques that produce the same quality of sheep’s wool, and many of them have made great improvements; but are still working on increasing the softness of sheep’s wool. Which fiber is naturally warmer, alpaca fleece or sheep’s wool? Considering that sheep’s wool has pockets of air, which makes it a hollow fabric, these pockets of air allow heat to be trapped inside the fibers. The benefit of alpaca fleece is that its hollow shafts tend to trap the body’s own natural heat, which keeps the wearer just as warm as those wearing sheep’s wool. Yes, alpaca fleece has amazing wicking abilities. Of course, it does get wet if you douse it with water, but it will not absorb all of it. Wool, however, is able to absorb almost half of its body weight in moisture, which is heavy and uncomfortable. 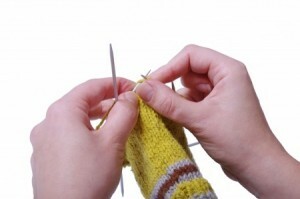 Wool also holds moisture against the skin, which can cause blisters and other skin lesions. Alpaca fleece, with its hollow shafts, tends to pull moisture away from the skin, keeping the wearer dry, and warm. Is Alpaca Fleece really Hypo-allergenic? Sheep’s wool contains lanolin, which is not found in alpaca fleece. Alpaca fleece is considered “dry fiber”. Superwashed, is a new term being used for wool that is being treated so that it feels softer and more comfortable against the skin. Textile Chemicals: Environmental Data and Facts, says that this “superwashing” process uses synthetic resins, including chlorine and hypochlorous acid. These chemicals have been a part of the cause of many environmental issues. Alpaca fleece is an eco-friendly alternative option for clothing manufacturers. Though similar in some ways in outer appearances, alpaca fleece and sheep’s wool have many major differences. For many alpaca lovers and farmers, this wool alternative is taking fleece to a new level of quality and comfort. The healthiest Alpaca in the world is only as good as his or her diet. It’s important to ensure your alpaca gets the right nutrients from meals, because just like humans, Alpacas can be anemic. Anemia is when the red blood cell count is low. Symptoms include weight loss, low energy, low temperature, and irritability. If left untreated, your Alpaca will have an unpleasant life. If you notice a lack of energy, for any reason, take your alpaca to a vet. The vet can test your alpaca for Mycoplasma haemolamae, which is a toxin that can cause anemia in alpacas. If the alpaca tests positive, your vet can set you up with a series of treatment options. Feed your alpaca supplements, to boost iron and fight anemia. Request a blood transfusion, it will boost red blood cells and promote the immune system, helping him feel better already. A great product to feed your alpaca is Red Cell. It’s an iron supplement to help anemic animals. This product is available through your veterinarian. Remember, you can prevent this by feeding your alpaca only healthy, organic foods. To learn more about raising an alpaca, follow and subscribe to our blog for new posts and tips about caring for alpacas! Alpaca fiber is top-choice for many knitters, as it’s warm, easy to use, and unlike wool, it’s itchy. When you’re knitting a sweater, one of the final steps is blocking the pieces together. Blocking uses heat (whether water or steam) to even out the stitching, and to shape the item. Among the myriad of sweater blocking methods, you’ll want to opt for one that uses minimum water. Alpaca fiber is fragile when wet, so the best method is to shape them first, and heat them with steam after. You’ll need the pattern instructions, rustproof pins, spray bottle, and a tape measure. Find a flat surface with plenty of room for you to work. Blocking meshes all ends into a final finished piece, so before you start blocking, weave in all of the ends. This will secure any loose fibers. Using the widest measurement and then the longest, pin each separate piece down to the flat surface. Now, shape it to the adequate dimensions according to your pattern. Be generous with your pin usage, it’s better to be secure. Once the garment is in the ideal shape, use steam to wet each piece evenly, ensuring you leave no wet spots behind. When the sweater is completely dry, remove the pins and hang for a day before wearing. Remember, if this sweater is for a gift, your intended may not know how to care for an alpaca sweater. Please refer to an earlier post, on how to wash and care for alpaca fiber clothing. 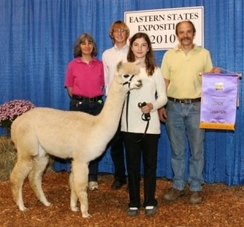 This past April, Countryside Alpacas was pleased to participate in the 2013 North American Alpaca Show. We’re proud of our alpacas and love showing them off among our peers and fellow alpaca enthusiasts. 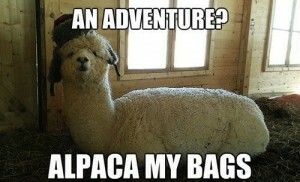 Why are you showing your alpaca? If you have made the decision to show your alpaca, you’ll need to be motivated. It is a long and often tiring process, but as we said, a rewarding one as well. Some great reasons to embark on the journey are to meet fellow alpaca breeders and gain knowledge, to promote your alpacas, receive valuable advice and opinions from the judges, or just gain pride from ribbons and thus gaining additional value in your animals. Educate yourself on the particular show you are attending, what are the judges looking for? You can usually contact the show association ahead of time to find out exactly what they will be judging based on. Most shows require you to register ahead of time. So make sure that you are completely registered; you won’t want to arrive to the event only to find out that you can’t participate. You’ll want to look clean and presentable, but ensure your alpaca is the star of the show by wearing something simple. Black or white is the best in these situations. Avoid anything with your farm’s name or logo featured on it. You will want to make sure that your alpaca is prepared to be in front of a large volume of people and to be handled by the judges. 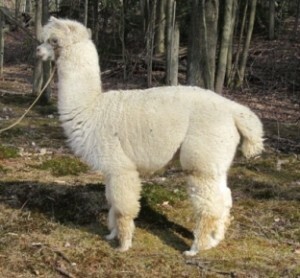 Your alpaca will need to be comfortable being lead around with a halter. The halter should be secure, but also safe and comfortable for your animal. Alpaca’s lead and halter – black. This is neat, often regulation and it is easy to find. Lastly, be on time. Punctuality is important in any professional situation, naturally, but you don’t want to take any chances showing up late, you may lose out on your chances for victory. Remain kind and courteous during the judging and allow the judge to do his or her job, uninterrupted. Follow these steps and you’re well on your way to a fun and successful alpaca showing! 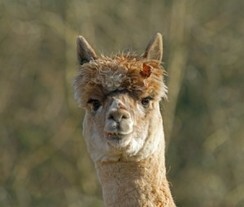 …Read more information here from WikiHow.com on how to approach your alpaca showing. The idea of therapy dogs and cats changed the way people heal from physical and mental ailments… but who ever heard of a therapy alpaca, or a therapy llama? If you haven’t heard about this trend, you may in the near future. Earlier this month, a few owners registered the first few alpacas and llamas as therapeutic service animals, and since then, a few farms have picked up on it. 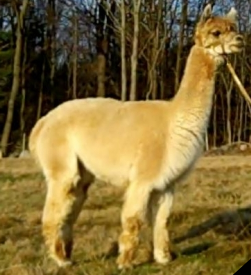 As alpaca lovers and breeders in Connecticut, we love this news story from Canada, covered earlier this month by CBS News. The story of two healing camelid friends, who visit and mend the ill, is a touching and motivating one. Alpacas and llamas are great for ailing patients because…. Alpacas are naturally peaceful and serene creatures, which exude unconditional love and happiness at every opportunity. 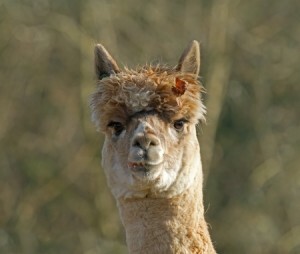 Alpacas have never been a wild of vicious animal. Alpacas in history were usually companions, the added bonus being their warm fiber. Due to their kind nature and impeccable bedside manners, medical professionals are employing llamas and alpacas for a variety of therapeutic events. Registered earlier this month, the first of the therapy camelid have already changed many lives. 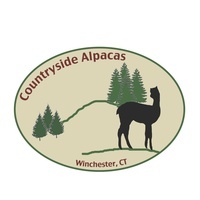 Alpaca Farms Advice for Superior Alpaca Care - Countryside AlpacasSweet and docile creatures, alpacas make great companions as well as investments. Some raise alpacas for their fibers and for breeding, and others raise them solely for companionship. Regardless, alpacas are kind, and deserve only the most discerning owners. To provide your new friend with the best care, be sure to consider the following points below. Understand that alpacas herd by nature, they are accustomed to companionship, and they should dwell with at least three other alpacas. This improves their mental and physical wellbeing. Think about your grass care, and refrain from using fertilizers or other lawn treatments. Feed your alpaca natural, healthy grass or high-protein hay. When feeding your alpacas, take them to a variety of locations, with different food options. This allows them to graze in different areas and consume a variety of meals. Not only will this heal the grass, but it will keep your alpaca happy and safe. We cannot stress the importance of fencing enough. When building your fencing structure, remember that ten alpacas can reside on one acre of land comfortably. When alpacas are content, they are less likely to take off like they did recently, in Boulder, CO. According to an article on santacruzsentinel.com, roughly a dozen alpacas were running chaotically through Bear Creek and Whalebone Gulch roads, last Sunday. Happy Easter, huh? Well, the good news is that the local neighbors were super neighborly and helped round up all of the alpacas. They contained them by 4pm last Sunday. Remember that story when considering your fencing options; ensure that you cover the area thoroughly. Proper care and exercise is essential to the mental and physical health of your new companion. Good Luck With Your New Alpaca, From Countryside Alpacas! Sometimes, during the early stages of life, Alpaca ears can turn inside out. This happens more often in prematurely born alpacas. Leaving the ear this way is not an option, as it will cause an array of problems later in life. Luckily, there is a quick DIY remedy, which is fairly painless for the alpaca. Using breathable micro-pore tape, fold the ear in the proper position and secure it down. It should only take about one day, but then it usually corrects the problem completely. We also mentioned mites; these little pests are the worst. Alpaca ears are warm, especially on the soft tissue of the ear, so the warmth attracts mites. These cause itchy and irritable alpacas. If you notice that your alpaca is always uncomfortable, and missing patches of skin, mites are probably to blame. You’ll also notice a black wax in the inner ear, in which case you’ll need to treat the alpaca. Seek assistance from a veterinarian, who can confirm with a skin-scraping. Then, the vet will provide you with the appropriate medicine. Alpacas are endearing, adorable creatures, with attractive and useful fibers, which are great for making warm clothing. Having an alpaca farm is about more than selling baby alpacas, or shearing their fibers away. To know an alpaca is to love one, and we’ve known many over the years. We would like to use our knowledge and passion to answer a few commonly asked questions. To What family does the alpaca belong? Alpacas belong to the camelid family, meaning camels are their ancestors. Are Alpacas violent or friendly? 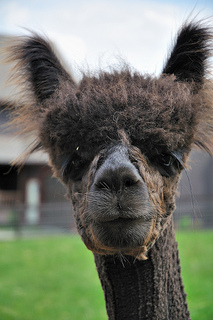 Alpacas are serene creatures, similar to the llama. Does shearing, to obtain fibers, harm the alpacas? No, every spring, we shear alpacas for their fiber. It’s very similar to how shepherds obtain wool from sheep; a simple shave. Moreover, due to the heat of the fiber, alpacas often appreciate the maintenance. Do alpacas make good investments? Yes! Alpaca fiber is worth a pretty-penny and you can shear each alpaca once a year, meaning you can make a lot of money via fibers and offspring. Can alpacas survive in the wild? Chances are, no. Breeders have been domesticating alpacas for thousands of year, so they do not hold the proper defense they would need to survive in the wild. How can you shear an alpaca? You’ll need two people. One must employ a restraining system, keeping the feet and neck in place. The other starts with the belly, and then shears the neck and the feet. When it comes to shearing an alpaca’s feet, they may get chaotic and upset. How can you handle a chaotic or panicked alpaca? When alpacas get nervous, their main defense is spit. If your alpaca starts spitting, in which case, you’ll need to put a tube sock on the alpaca’s snout. It is not cruel to do, as the alpaca can still breathe. The alpaca will not be able to remove the sock, so the sock contains the spit. Eventually, the alpaca will begin to behave. Though it isn’t cruel, it is still unpleasant for the alpaca, so it is ideal for training. Why are alpacas so popular on the internet? Perhaps it’s because they’re so adorable and friendly! 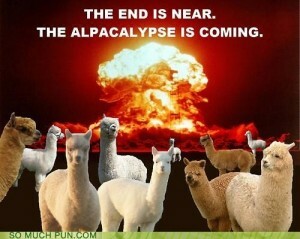 Alpaca puns to the internet by storm in mid-2012, with warnings of an “Alpaca-lypse”. Here are some of our favorite alpaca jokes so far!